Reports on Monday morning suggested that Eric Bailly could quit Man Utd with both Arsenal and Tottenham ready to move if he leaves in January. As noted by The Mirror, it was claimed that after dropping out of Jose Mourinho’s side in the last three games, the centre-half could seek an exit in January with United’s Premier League rivals potentially set to swoop. 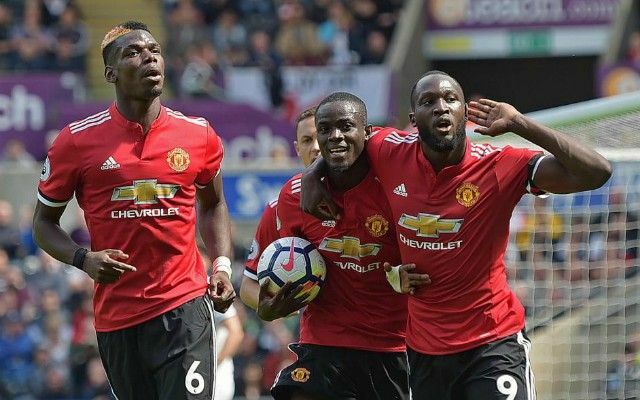 While it’s arguably fair to say that Bailly has had his struggles at Old Trafford since joining the club in 2016, he is still only 24 and is continuing to learn, gain experience and prove himself at the highest level. He’s made 60 appearances for the club in two and a bit seasons, with injuries also being an issue, and so Mourinho has shown faith in him and is likely to continue to do so when he is perhaps forced to rotate as the fixture list becomes busier. In turn, with that in mind coupled with the fact that the Ivorian international is seemingly just the latest Man Utd player to be linked with an exit after the likes of Paul Pogba and Anthony Martial in recent times, the fans below are not buying the speculation and don’t believe that their defender will push for an exit in January. Time will tell if he does and proves them wrong, but for now, they are convinced that he’s going nowhere and instead have blasted the media for their reports as they deem them to be inaccurate. Of course, should Bailly remain on the sidelines with Chris Smalling impressing at the weekend in the win over Watford, then perhaps genuine question marks will start to be raised if he falls down the pecking order on a consistent basis. Eric Bailly now on the list of players set to the leave United. If the media were right about who wants to leave, we’d have no team by now. Eric Bailly wants to leave now? ? No, he wants to sort his life out & revive his career! You can’t make it up can ya! Pogba? Na he looked happy! Rashford? Na he was suspended! Erm….bailly didn’t play…..YES run with it!! This is from John Cross. The same bloke that said that Mesut Özil had told teammates that he was coming to United last January. ? How come every time a united player doesn’t start for a few games they come up with this nonsense.